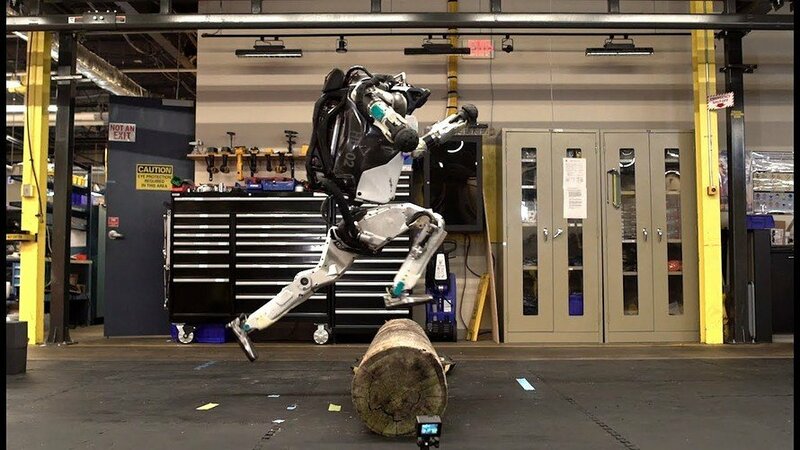 Boston Dynamics is truly working on the cutting edge of robotics, and they recently showed off a new video of their Atlas robot doing all sorts of intense physical activity. From picking up boxes, to jumping over logs, the Atlas robot's parkour skills have caught the eyes of many nerds over the past week. One such nerd, Steve Bowler a VR developer from CloudGate Studio, decided that this video would be better with the theme from Rocky. He was right. Steve compiled his own robot training montage from multiple Boston Dynamics videos and even added something very special at the end. Please take a look at this hilarious video. Folks should be sure to follow Steve Bowler on Twitter for his takes on virtual reality development. We can only hope that this isn't the last we will see of his funny montage videos, as this Atlas parkour video is one of the funniest things we have seen in awhile. Steve truly showed everyone how to do it for Shacknews. lol, god damnit don't push him around like that! I'm mildly surprised this is the first video I've seen to combine those two thing. To be fair Auralnauts kinda suggested it a long time back. Has anyone seen the box climbing superimposed with the steps from the Philly museum of art? Yeah, it gets me every time. Am I hearing this right that the lyrics have been changed? Well at least we are building our replacements when global warming kills us all off.